It gives me great pleasure to be able to state, in submitting this annual report, that the educational work of this county is growing in usefulness. Many who have heretofore seemed lukewarm have become awakened and are exerting themselves for the improvement of the schools. The work of rightly training the youth of our land is the great mission of our people. Many are beginning to realize this. The work grows in importance and usefulness as the people come to engage more and more in it. There is in Tioga county a general demand for more and better schools. With the exception of those districts where the authorities are controlled by a few selfish persons who have money, hence influence, and no children, and who are too short-sighted to see the benefit derived from the school to the community, there is a disposition to give the boys and girls at least nine months school per year. Much credit is due many of our officers for the zeal manifested in furnishing our school rooms with apparatus for the aid of the teacher. This is a very encouraging feature; but pardon a caution or suggestion in regard to the selection and purchase of helps. Many of our homes are furnished with “White’s Manikan” or “Vaggy’s Anatomical Study,” or some such article, where a Webster’s dictionary and a good blackboard are strangers. Give us such apparatus as is most needed and useful, such as can be furnished at reasonable prices, and give those agents who come and ask four or five hundred per cent, profit for an article, the slip. I have been compelled to say to some of my own teachers, who have been prevailed upon to become agents, that the article they are trying to get me to recommend is not worth one-fifth of what they ask for it. Would it not be well for each board to appropriate such a sum as it could afford for the purchase of apparatus and then have a meeting of the directors and teachers for the purpose of making the selection, no agent being allowed to attend such meeting. In some localities patrons have aided directors in making the school the center of interest to that degree that it has become the controlling power in the community. Farmers, merchants, mechanics, ministers, in fact all, have interested themselves in planting trees, beautifying the house outside and inside until everybody is proud to invite those from abroad to come and visit our school. Thus the good work goes on. But few houses have been built during the year, but all have been well arranged for the district in which they are located. Could there be some way by which the work of teaching might become more lucrative and permanent, less superficial teaching would be done. A six months’ school year divided into two terms, and a teacher not certain of only one of them, with fifteen dollars per month and board around, is not a very encouraging outlook for an enterprising young man or woman. Our county institute is well supported by teachers and people. I hope the directors of the county will take more interest in the matter and feel it their duty to attend and heartily support the same. All but twelve of our teachers were present at the last institute, and we are expecting them all next time. The Mansfield agricultural fair has instituted an educational department. Last year we witnessed the first display, which, though hurriedly arranged, met with great favor. We apprehend that this feature of the fair will result in much benefit to the work of the schools. I have made four hundred and fifty-one visits to schools, held twenty-nine public examinations, attended fourteen local institutes, one county institute, the final examinations at the Mansfield State normal school and Soldiers’ Orphan School, besides doing office work, during the past year. The normal school, the soldiers’ orphan school and the Wellsboro’ high school has each accomplished a good year’s work of teaching and studying. The work of teachers and pupils is worthy of special mention. Allow me to extend my sincere thanks to the many loyal teachers, directors and patrons who have so nobly aided in carrying out reforms, and for their friendly acts and encouraging words; to the twelve thousand bright, healthy boys and girls for their kindly greetings and courteous treatment, and to the Department for the readiness with which it has responded to every request. School Grounds—A beginning has been made in the improvement of school grounds. A few districts have inclosed them with neat substantial fences and have planted them with trees. Houses—In the building of school houses we are certainly making rapid progress. The whole number now in the county is 256. Eight have been built during the year—all of them good substantial buildings, well suited for their purpose. Taken as a whole, our county has now good houses; but few of the “shanties” formerly reported remain. In one or two years more I hope all will disappear. Wellsboro and Blossburg are now building brick buildings for graded schools—Wellsboro at a cost of nearly $30,000 and Blossburg $15,000, both to be furnished with furniture of most approved patterns. It is a pleasure to report that but fifty of our schools are without out-houses. Four years ago there were 111. Schools—We have 286 schools, an increase of 8 over last year. Of these 48 are graded, an increase of 2; 175 are well classified; 151 have books uniform. The Bible is read in every school in the county, and in a number the Lord’s Prayer is repeated daily.—Vocal music is taught in 112, and in 107 the higher braches are taught. Examinations—Thirty public examinations were held, at which 493 applicants were examined; 15 professional and 382 provisional certificates were granted; 97 were rejected; 105 directors were present. We held no private examinations. Teachers—Ninety-one male and 330 females were employed; average age, 22 years; 74 had no experience; 95 have taught more than five years; 215 have graduated at a Normal school, while all who have taught in the county have read some work on teaching. Visitations—Two hundred and twenty five schools were visited, at an average length of 1.62 hours. One hundred and thirteen schools were visited by directors, ninety-eight by the patrons. Sickness in my family prevented me from visiting during nearly all of the month of May. Institutes—Eight districts have held district institutes, gotten up and managed mostly by the teachers. Our County Institute was held at Wellsboro during the week commencing October 18th. Profs. Curry, Woodruff, Fradenburgh, Edick, and Mrs. Anna Randall Diehl, were our principal instructors and lecturers. Three hundred and eighty-four members were enrolled. The largest number of spectators present at any one time was 800. Paid for all expenses, $239.09.-—eceived from county, $200. Balance paid by Superintendent. Our County Institute is now on a firm basis. Both teachers and people are as anxious for its success as we can be. The utmost interest was manifested during the entire work. We shall hold district institutes during the coming winter. 1. Want of more active public interest, especially on the part of parents. 2. Irregular attendance. It is a startling fact that nearly seven hundred children of school age in our county did not attend school during the past year. 4. Teachers are too frequently changed. 5. A great scarcity of competent teachers. 6. Indifference on the part of directors. It seems that the Legislature at its next session should make some changes in the manner of electing and paying them. As the law now is a small minority may elect, and the one elected may be far from being the real choice of the whole body of directors. Directors living near the place of holding the Convention will attend, while those living farther away think that they cannot afford the expense, and so stay at home. If the law could be so changed as to allow the directors to vote in their own districts or delegate one or two of the board to attend the convention and vote under instructions from the board, and then allow the districts to pay the expense instead of the directors. Superintendents would be more apt to be the choice of the whole boards of directors than under the present system.—That the Legislature should fix the salaries of the Superintendents, no one in our county pretends to deny. It is evident that there is too great a difference in the salaries of Superintendents according to services rendered. This must create dissatisfaction and tend to bring the system into disrepute. Owing to a long and very severe sickness in my family, I am compelled to be very brief with this report. From the tabular statement appended to the report we learn that the average number of months of school taught in the county during the year ending June 1, 1874, was 6.82. The average salaries of male teachers per month were $51.35; of female, $31.37. The number of scholars in attendance was 10,786,--5,744 males and 5,042 females. The average number of scholars attending school was 6,812, at a cost per month of 98 cents each. The average tax levied for school purposes was at the rate of 7.17 mills, and for building purposes 4.2 mills, producing an aggregate of $59,521.68. The State appropriation amounted to $6,247.49, and the receipts from all other sources were $70,773.71. Under the head of expenditures the cost of school buildings is placed at $19,130.73 for the year; teachers’ wages at $43,024.08, and fuel and contingencies at $16,573.53, making a total of $78,728.34, while the total receipts foot up $77,021.20. In making up these figures the amounts for six districts—Brookfield, Deerfield, Farmington, Morris, Tioga and Tioga borough—are taken from the report of 1878, and they are to that extent uncertain. History of the Common Schools. 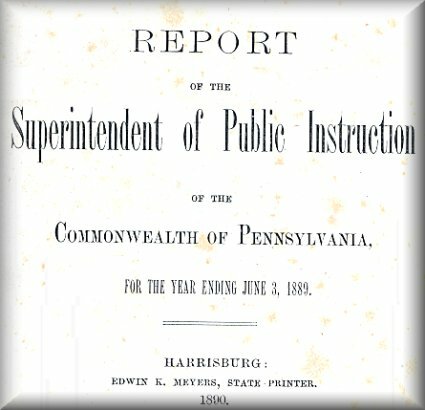 Report of the County Superintendent, Miss Sarah I Lewis – growth of the public schools from the beginning – the first convention of commissioners and directors – academies, normal school, and institutes. Before commencing my history of the schools, allow me to express my thanks to the people who have so kindly aided me in the work. That it is full of errors, I more than half suspect; but, for the items relating to all the early schools, I have been compelled to rely on the memory of the early settlers, and their number has diminished until but few remain. I ask my readers to pass lightly over the faults, remembering the difficulties in the way. In 1787 a man, named Samuel Baker came into the county and settled on a point of land between the Cowanesque and Tioga rivers. Baker was soon joined by a man named Stone who had fled into the wilderness from Massachusetts to escape punishment for participating in Shay’s rebellion.—The next settler was Jesse Locey, who built a bark cabin on the present site of Tioga village. Other followed, and settled up Pine creek and on the Cowanesque river. In 1795 Lycoming county was taken from Northumberland county. There were at that time ten long cabins within the present boundaries of Tioga county. From this time settlements were rapidly made, and in 1804 this county was taken from Lycoming and named Tioga, from the river Tioga, a name given it by the Indians and said to signify “head waters” or “upper waters.” It composed at first two townships, Tioga and Delmar. The facilities for educating the children of the early settlers were very limited, but the people came from homes where education was deemed of great importance, and they began immediately to seek some means to supply the need of schools. For some time the work was carried on in the home circle, but as soon as enough had settled in any section, schools were opened. In 1806 a school was opened in what is now Deerfield township, in a log dwelling. Among the first teachers were Betsey Borden, John Knox, and Abigail Goodspeed.—The first school-house was built of logs. The spaces between the logs were filled with blocks of wood and mortar. A chimney was (remainder of sentence missing from scan) were driven into the logs, and boards placed thereon to serve as desks. Benches were made, sometimes of slabs and sometimes of boards, with legs driven into auger holes at each end. Apparatus of any kind was unknown, except that furnished by the beech and hickory trees which grew around the early school houses, and, as the ability to lay on the rod scientifically was one of the first requirements, but little time was left for the use of any other apparatus. This description will serve as an example of the schoolhouses which were built for several years following. In 1816 the township was divided into three districts. Each district built its own school-house. The schools were managed by three trustees in each sub-district.—The poor were given their tuition, the amount of the teachers’ wages being raised by subscription. From these schools were sent teachers for the surrounding districts, as they needed them. In 1807 there were six families in what is now Sullivan township, and, feeling the need of schools, the men turned out, cut legs, rolled up the body of a school-house, cut poles for rafters, made shingles for their roof, built their stone chimney, made their rude furniture, and their first school-house stood completed, on Baker Hill. Lorena Doud was duly installed as teacher of the first school within the limits of Sullivan township. Among the first teachers were Doctor Alexander, Gardner Seaman, and Alvin Thomas. From ten to twelve dollars was considered fair wages for men; women received much less. The first frame school-house in Sullivan was built in Gray’s Valley in 1815. About this time a school was started in Mainesburg, which was then a part of Sullivan. Family schools were kept in some parts of the township. Rutland was settled not far from this time, and worked after the same general plan. Shippen was settled at about the same time that these townships were, and built a log house near the mouth of Marsh creek some time before 1818. In 1812 or 1818 the first house was built near what was called Furmantown, in what is now Gaines township, but not much progress was made for a number of years. In 1808-9 Dennis Hawes taught in a log house about three-fourths of a mile below the village of Tioga, on the east side of the river. In 1812 another school was established on the west side of the river, about one-half mile below the village. Still another was established at Mitchell’s Creek in 1817. These schools were the only ones until after 1834.—Among the early teachers were Mary Landis, Nancy Otiason, and William Bodle. In 1811 Dennis Hawes started another school in the township of Lawrence; but no house was built for school purposes until about 1816. It was then built near Somer’s Lane on land now owned by Joseph Guile, and was built by subscription. It was thought to be as good as the ordinary dwellings of the period. A man by the name of Niles taught the first school in this house.—No other school-house was built until about 1825, when Charles Blanchard, Rufus Baldwin, Ephraim Thomas and Lyman Pritchard built one up the Cowanesque on land now owned by William Thomas. This was used for schools until 1834. For some years, the people of what is now Lawrenceville helped sustain a school in Lindley, Steuben county, New York; but in 1820 a school was started by Samuel McDougal, but before the year ended a tax was raised to build a house, which had been completed but a few weeks when it burned down, and the children were again sent to Lindley. About 1825 Johnson Butts came to the village, purchased an old building, fitted it up and started another school, which continued to be the principal one until 1834. The first school in Charleston was taught by a Mr. Gillis, in 1813, near Dartt Settlement; others followed, and the work of building school-houses and establishing schools was carried rapidly forward. Until 1857 Elkland comprised what is now Elkland, Nelson, and Osceola. From about 1814 to 1827 what is now Elkland used any house that could be secured for school purposes. About 1827, a one-story frame school house was built, which is still standing and in use as a dwelling-house. Among the first teachers were Henry Warner and Miss Mary Ryon. In 1822 Harriet Wright taught the first school in what is now Nelson township. This school numbered about ten pupils. In 1830, Chester Gideons taught in the village of Nelson, but no school-house was built until 1884. The same teacher taught one of the schools in Nelson independent district. In 1813 Lois Bowen taught in a small building within the limits of the present borough of Westfield; and about 1818, a school-house was built a few ???? above the Cowanesque bridge, in the upper end of the village. Not far from this time another was built about a mile down the river. These were the only ones in the township until 1834. A short time previous to 1820 a small school-house was built near where the Tioga railroad now runs, within the limits of the present village of Mansfield. A gentleman speaking of this school and its pupils, says: “Among them was a little sunburnt boy who has grown and developed and aimed higher and higher, until he stands among the foremost educators of this State and in other States. We know him as Professor F. A. Allen, principal of the Fifth District State Normal and Soldiers’ Orphan School.” Between 1820 and 1836 four houses for school purposes were built in Richmond township, which at that time included Mansfield. In 1818 or 1819 a house was built in Delmar, and a school taught by a man from one of the southern counties, named Beadle Stull, who was remarkable chiefly for his peculiar manner of pronouncing certain English words. Between 1819 and 1822 five houses were built. Israel Stone, at present a director in Delmar, taught during the winter for ten years after moving into the county, receiving his pay in lumber, labor, grain and a very little money. Robert Campbell, Lyman Wallbridge, and E. P. Deane were among the early teachers. In 1815 a school was established in Covington, and in 1816 a house was built on the east side of the Tioga river. This was a one-story building 20x24 feet on the ground, and served for school purposes many years. Wellsboro was made the county seat in 1806, but did not boast a school until about 1816. At this time any building that could be procured, was used for school purposes.—The old Quaker “meeting house” was used for summer schools for some time; and after the academy was built that was used for schools of all kinds. Among the early teachers, were Chauncey Alford, Lydia Dole and Benjamin B. Smith. The last named gentleman used his own house for school purposes. The first school in Brookfield was about 1820. The house was after the Deerfield, pattern; and a favorite pastime with the boys when the “teacher’s back was turned,” was to walk the great back-log brought in to keep fire in the great stone fire-place. From 1820 to 1831 about all the teaching was done by Lyman Seely, Rev. Samuel Conant and a Mr. Bushnell. About this time William B. Price taught a very successful subscription school. Liberty, Union and Morris started their schools about the same time. Jacob Benner taught in Liberty in 1821. The old hawed log “meeting-house” was so built that one end could be used for schools and the other for “meetings.” This house was used until the law of 1884. In 18?? Beadle, or Biddie, Shull taught the first school in Morris. In 1831 the first school-house was built, and Miss Nancy Clark installed as teacher. Ja?? Lewis followed and taught two months for ten dollars a month, and boarded around. About 1826 a school was started near Chatham Valley; others followed as they were needed. In 1828 there were but four settlers in what is now Farmington. In 1838 the first school was established, and six families sent their children to this. Clymer had no school until about 1826 when a school-house was built in Mixtown, near Beach’s Corners. These schools, together with all others established prior to the enactment of the school law of 1834, were carried on after the same general plan. There was no standard of qualification. The ability to read, write, cipher, and use the rod, was considered all that was necessary. One writer, speaking of a prominent teacher, says: “He whipped enough every day to thrash ten bushels of buckwheat.” The books most used were Duboll’s Arithmetic, Webster’s Speller, American Manual Reader and Cobb’s Speller. When none of these were at hand a Testament or hymn-book was used as a textbook. Wages were very low, males received from two to three dollars per week, and were expected to procure the wood used in the school-room. Females received from fifty cents to one dollar per week. All boarded around, and as some of the pupils came two or three miles, it is no small part of the work, especially in the winter. The Law of 1834 was generally approved by those having children to educate, others thought it unfair to require them to bear taxation to educate the children of others. We copy the following from the Phoenix a paper published in Wellsboro, November 4, 1834. A Convention was held in the Court House, in Wellsboro, and organized by choice of Chauncey Alford, President; Josiah Emery, Secretary. Commissioners – Amaylah Hammond, Chauncey Alford, George Knox. Delegates – Brookfield, Jonathan Bonney; Chatham, Henry Eaton; Charleston, Cyrus Durtt; Covington township, Avery Gillett; Covington borough, John O?ay; Liverfield, Janice Knox; Farmington, Jonathan Sorber; Jackson, Norman Wells; Lawrence, Rufus Baldwin; Liberty, John Lev?good; Mansfield, William b. Mann; Middlebury, Israel P. Kinney; Morris, Chas. Dufy; Rutland, Peter Hacker; Shippen, Goerge Huyler; Sullivan, David Hazzard; Tioga, Joseph W. Guernsey; Union, Charles O. Spencer; Westfield, Samuel Baker; Wellsboro, Josiah Emery. Delmar and Elkland were the only districts not represented in the Convention. It appeared that the requisite number of commissioners and delegates were present to authorize the proceeding to business. Adjourned to meet in the morning. November 5, 1824.—Committee met in Court House, as per adjournment. On the question, Shall a tax be levied for the ex(remainder of sentence missing from scan) schools? ????? decided in the affirmative – Yeas, 29, nays, 0. On the question, What amount of taxes shall be raised for the support of common schools for the ensuing year? the Convention decided on the sum of $3,000 by following vote: For three thousand, 16; for various other sums, 7. Resolved, That the meetings of the board of each district provided for in the seventh section of the school act be held in the usual place for holding township or borough elections, on Saturday, the 16th day of November; next, at ??? o’clock p.m., and that the delegate from each township give notice of said meeting by as many written advertisements as may be necessary to give general information of the time and place of meeting. Resolved, That the substance of the proceedings of this Convention, signed by the President and Secretary, be published in both papers of the county. Adjourned nine die, Chauncey Alford, President. Nineteen districts elected two directors each, according to law, in 1835. Covington Morris, and Union elected in 1836. Liberty in 1840. From these facts we conclude that the law was favorably received by the majority. Delmar and Elkland organized school-boards, but for some reason they were not represented in the Convention. Bloss township has at the present three school-houses and five schools. Two of the houses have room for two departments.—These are in Arnot, a mining town on the Elmira and State Line railroad. The last house built in Arnot was in 1872. Two houses have been built in the Maple Hill district, the last in 1876. R. E. Howland has been for a number of years a teacher in one of those schools and S. A. Gaskill in the other. Blossburg was taken from Bloss township in 1871. Previous to this it had a two-story frame house which had been in use for many years. In 1872 a small house was built in the upper end of the village. After the grading of the school this was used for the children of that part of the town who were in the three lower grades. In 1874 a fine, large two-story brick house with a basement was built on a hill overlooking the town. This house is well finished and furnished, having four school-rooms below and one large one with recitation rooms above. The basement is used as a play-room in winter, being well warmed by the furnaces which heat the other parts of the house. An organ and a limited supply of apparatus has been furnished for the use of the school. The cost of this building was about $10,000. The course of study prepares the pupils for the senior year of the elementary course at the Normal School. Latin, German, and French are also taught. Professor F. M. Smith, a graduate of the scientific class of the Mansfield State Normal School, was principal for two years, and J. A. Newman, a graduate of Cornell, for the year ending June, 1877. Miss Kate Quigley has been assistant principal for the whole time. The liabilities of the district are now about $9,500. Brookfield built three new houses immediately after the law of 1834, and by 1860 three more. Some of these were built of logs, but the last log-house has disappeared, and in every district a new frame one has been built since 1850. There is now but one house in the district unfit for use out of the eight in use. Clymer has been rather slow in getting her schools well organized. Sabinsville had no school-house until 1838, when the woods were cleared away and a small frame house built. When this was worn out a large one was built. This was much more comfortable than the first. It has been in use about nineteen years and should be replaced with a building for a graded school. In 1840, a new house of logs was built a short distance above Sabinsville. This house was only sixteen by eighteen feet on the ground, but was used for all the public meetings of the neighborhood. There are now no houses unfit for use out of the nine in the district. In 1860 James Putnam, Esquire, built a two-story frame school-house in Covington borough, near the old house built in 1830. This house was arranged for two schools and was called a seminary. In 1836 Reverend J. Duane taught in his own house for a few who wished to become teachers. In 1861 it was said of Covington, “not a school-house fit for use.” In 1868, “Covington has the ‘banner’ school-house in the county.” This house is one-story high, having two well furnished school-rooms, which at the present need new apparatus. For the last two years there has been eight months’ school each year. Male teachers receive $26 and female teachers $22.50 per month. School property is valued at $3,000. Covington township built rapidly after 1834, and after that their houses were allowed to run down until about eight years ago, when they began to build one neat substantial school-house each year, until at this time only two or three of the old houses remain. They now have a balance of about $500 in the treasury, and pay teachers from fifteen to thirty dollars per month. Chatham was classed by our first Superintendents with Covington. “In 1861, not a school-house in the township fit for use.”—Three new houses were built in 1863, several more have been built since that time. In 1860 female teachers received seven dollars per month, and in 1877 female teachers received eight dollars per month, and boarded around. “The world move.” Chatham is worthy of better things. Charleston is now among the first in point of energy. The old houses, built soon after 1834, have been replaced with new ones.—Some new sub-districts have been made. In some districts these houses have been furnished with patent furniture. Apparatus is still lacking in most of the eighteen houses, and wages are still very low, the average for males being $19.43, and for females, $13.92. Resources in excess of liabilities, $1,059.50. Boarding around still the fashion. Delmar has steadily improved since 1834, and now has twenty-one school houses. A director, writing of school matters, says, “many of our houses still stand in the high-way, and are not well arranged within”—Average salary for male teachers, $19.50, and for females, $18.64. Three and a half mills are levied for school purposes, and there is a balance of $1,022.68 in the treasury. Stony Fork has room for a school of two departments, and should have it a part of the year at least. In 1834 Deerfield had three schools; it now has seven, and although houses have increased in quantity the quality is not yet of the best. One log-house was retained until 1855. It has one neat little house suitable for the small school for which it is used. But, in some localities, the contract between the school-house and the farmers’ barns is not at all pleasant. No building tax, and four mills school tax. Yet I know there are people in the town willing to sacrifice almost anything for the sake of educating their children, and we hope for a brighter day and brighter school-house. Duncan was organized in 1873. It has one school-house and three schools. Two schools in Antrim are kept in houses belonging to the Fall Brook Coal Company. Three teachers are at present employed in Antrim, Mr. and Mrs. T. P. Whiting and Jno. F. Sullivan; there is also a night-school taught by T. P. Whiting. These schools are in good condition, but the district is still heavily in debt. Elk built its first school-house in 1858; two were built during this year, and the first schools taught by Mary A. Watrous and Amra Strait. In 1866 the Cedar Run house was built and Phoebe Wetmore taught the first school. In 1871 the Big Spring house was built, and Florence Noice installed as teacher. These houses are furnished with a greater amount of apparatus than any other of similar grade in the county. Boarding around is unknown. Elkland built her second school-house in 1855, a two-story frame house, for two departments. In 1876 Joel Parkhurst, a resident of the place, proposed to give the district a new brick house costing $4,000 if the people would raise a fund of $1,500 to be placed at interest, and the Interest used to keep the house in order and purchase apparatus. The money was raised and placed under the control of John Parkhurst, C. L Pattison and J. G. Hammond. The house was built by Joel Parkhurst, and is said to be a very good house for the money invested. It is by far the best one in the Cowanesque valley, and ranks third in the county. It is a two-story building having two large school-rooms, one recitation-room and cloak-rooms; it is furnished with one patent desk, and it is really an ornament to the town and, indeed, to the county. Professor C. C. Ward is at present the principal of the school, which (December, 1876) numbered ninety-three pupils. In 1875 the estimated value of school property in Elkland was $400, and in 1877 it is $5,500, without the old house, which was sold some time since. Gaines has had a new school-house in every district since 1838. The only log school-house in the county is in the Lick Run district. A new sub-district was formed on Elk run; and a neat little house built in 1876. There is still a lack of teachers within the township. Female teachers receive $12.50 per month. Hamilton was formed from Bloss in 1872. It then had two houses used for school purposes, one made from what was originally intended for a saw-mill and the other an Odd Fellow’s hall and school-house combined. The latter has two rooms on the first floor devoted to the schools; the other house also has two rooms, one quite large and the other very low and small. For the past year J. T. Ballard has been at the head of the school, and has three young ladies, belong in the town, as his assistants. Hard times, irregular attendance and lack of books cripple the efforts of the board and of the teachers; but with the energy shown within the last year or two better times must come, for books are even now on the increase. I have been utterly unable to get any hint of the early schools of Jackson district; but we suppose it to be not unlike that of other districts. Between 18?? and 18?? four new school-houses were built. The last built in the township was at Dagget’s Mills in 1876, a very neat little house with beautiful furniture and plenty of play-ground. The school affairs of Jackson are well cared for; good wages are paid and good teachers placed in the schools. Knoxville was for some years called a “stand-still” district. In 1861 a house was built costing $1,000, for a graded school, having two departments. In 1871 an act was passed authorizing the directors to borrow money to build a new house. This house is not yet built, but the people seem to be growing in interest in the common schools. It is at present in charge of Professor G. R. Hammond, and is managed with marked success. Lawrence. In October, 1834, the directors of this township divided the township into five sub-districts, two on the Tioga, and two on the Cowanesque, and one in the borough.—They also passed a resolution to the effect that five new houses, of brick, one story high, and 20x28 feet on the ground, should be finished by September 1, 1885. These houses were never built, but three frame houses, one story high, in the township, and a two-story house in the borough, were built, instead of the brink houses. 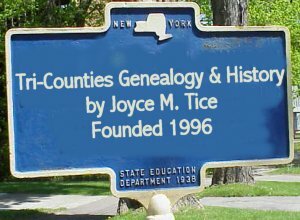 In 1840 or 9 the township and borough organized separate school districts. All the houses then built have disappeared, and there is but one house in the township that is entirely unfit. There are seven sub-districts. In 1854 the borough bought the old academy, which has been repaired and refinished, and is now used for one of the “wide awake” graded schools of our county. It has been under the charge of F. M. Cass for the last two years. Liberty built, in 1834, a house on the hillside east of the village. A writer speaking of this time, says: “The settlers were so few that the tax was insufficient to pay for a three-month’s term without subscription.” In 1854 the township contained twelve school-houses. In 1860 the two-story building for a graded school was built at a cost of about $1,000. In 1876 it was repainted, and the desks in the lower room were cut down. The first building tax was levied in 1859. Nowhere in Tioga county are the common schools better sustained than in Liberty. Middlebury has a history much like the others. In 1858, it was said that it had a good proportion of new houses. In 1859, a very pretty new house was built, costing $800. Nearly all the houses need repairing, except the last one built. The people show the usual amount of interest. In 1860, female teachers received ten dollars per month, and for the year just ending their average salary for spring, fall, and winter is a little more than twelve dollars. They have a longer term of school than the average of townships. Has for some years rented a room for the primary department of its graded school, but in 1876 another small room was built in connection with the house built some years ago. The first schools after the new plan were taught by Lloyd Smith and W. A. Hall. The school property is valued at $800. Mansfield built the house now in use under the law of 1834. It has since been repaired and refurnished, and contains a flourishing school, employing three teachers usually graduates of the Normal School. The course of study prepares the pupils for entering the senior class of that institution. For the past ten years it has been under the supervision of Fred. C. Leonard. For many years a part of Elkland was connected with the schools of Osceola village, but for many years it has had its own school. About 1863-4 a very flourishing high school was carried on under the management of Prof. A. H. Wightman. A boarding hall was built for students from a distance. The school was kept in the second story of a large frame building on Main street. This school passed into other hands and is now a graded school of two departments, and is in a new building a little back from the main street. The estimated value of school property for the past year is $2,000. Rutland, including the present borough of Roseville, did good work under the laws of 1834 and 18?4, but many of their houses were in great need of repairs. Since 1874 much repairing has been done, but most of the houses lack apparatus. One has no blackboard. Roseville rents a house for a graded-school. Richmond built school-houses outside of the limits of Mansfield borough after the law of 1834. W. C. Ripley, still living in the township, was at this time president of the board. Female teachers received from seventy-five cents to one dollar twenty-five cents per week, and males from two fifty to three dollars per week. The sum voted for school purposes for several years did not exceed $300 a year. In 1854 the board passed resolutions that six days should constitute a school week, and four weeks a month; also that females shall not be paid to exceed one dollar and fifty cents a week for the summer, and males twenty dollars per month for the winter term. There are fifteen schools in the township, and the wages are from $17.23 to $23.50 per month. Sullivan built rapidly after 1834, but met with some mishaps. The first house was built on vacant land, without securing a title, and after using it a few terms it was closed by the owner of the land. The directors then took their share of the public money and built another, sustaining their school in the meantime by private funds.—The last log-house in the township was built in 1839, but was replaced by a frame one in 1852, which is still used. Sullivan has plenty of teachers to fill all her schools. There are now fifteen school houses in the township. The last one built in the township is on Scouten Hill, and although very comfortable, has its windows so high a man of medium height must stand on tiptoe to see out. School property worth $9,000. Teachers receive from fifteen to twenty-one dollars per month. Shippen has replaced the log houses with frame ones, and near the spot where seventy years ago, stood the first one now stands a neat little white house with play ground well fenced. There are three school houses in the district. Good teachers are employed, and much interest is manifested. Tioga borough built its first school-house under the law of 1834 about the year 1837. This building is now used as a Catholic church. In 1859 a two-story frame house was built on the bank of the Tioga river, at a cost of about $1,000. In 1860 H. M. Beeles was placed at the head of the school, grading it, introducing higher branches and purchasing apparatus. The house has since undergone thorough repair. The school has been prospering finely for several years.—Since 1873 H. L. Baldwin has been principal and Miss Mary Baldwin assistant. Tioga township proceeded to build and rebuild under the school laws, and although having no houses unfit for use, and addition by way of apparatus and a few repairs would not be out of place. Union was left apart as a separate district in 1830, and has exhibited much energy in carrying out the school laws. It now has twelve houses, none first-class, but most of them are comfortable. School property valued at $6,000, and boarding around not practiced. The first school-house in what is now Ward township was built in 1840. In 1852 the first directors were appointed. The first teacher after this time was Hannah Barnes. In 1864 four houses were built and abandoned. There are now four schools and five school-houses in the township. Schools must remain ?? ?all until the wild coal lands are worked. Fall Brook has two school-houses with room for two departments in each. J. L. Sexton, Junior, was for some years the principal teacher, and did much for the schools. Miss Bessie Brewer taught in the schools for eleven years. Since the “hard times” many of the ??? ?ers are gone, and there are now but three schools. Westfield borough has built four new houses since 1834, three of them after the usual pattern, and the last, built after the incorporation of the village, is a two-story house for graded schools with room for two departments. The school now numbers one hundred and twenty, and is divided into six grades. A. F. Hollenbeck is the present principal of the school. The district is now free from debt for the first time in years. Westfield township has had at least two houses in every sub-district, except one, a new district established since the incorporation of the borough. The houses are all comfortable and convenient, although somewhat lacking in apparatus and furniture. The township has been in debt for years, but is rapidly paying off this debt, and then we hope for better things. Wellsboro. The first school under the new law was taught by E. P. Deane. He also taught in the winter of 1834-5. The first school-house built was a two-story frame-house built by subscription. In 1861 the second one, which is still used for the primary department was built. In 1875 it was refurnished and the grounds planted with shade trees. In 1870 there were three departments in the graded school. In 1871 the old academy was purchased for the use of the public school, A. C. Winters elected principal, and the number of grades increased to eight. In the fall of 1872 Professor P. H. Edick was elected to fill the place left vacant by Professor Winters. In 1871 the new brick school-building was erected at a cost of about $30,000. This building, the finest one in the county, is three stories high without the basement, affording room for the grammar, intermediate and high school departments, leaving the third story as a public hall which we use for our Institutes. A piano has been purchased for use in the school, and other needed articles are soon to follow. Several young ladies and gentlemen have here been prepared for college, and others are preparing. Professor E. Francis and eight assistants are to have charge of the school for the next year.—About five hundred pupils are usually enrolled. There is a heavy debt, but with the present board the burden will be lightened as much as possible, and the people are brave enough to endure anything for the sake of the public school. In 1815 the subject of establishing a County Academy was agitated, but it was not until 1817 that it was finally located at Wellsboro, according to act of Legislature passed March 25, 1817. Trustees were appointed in various parts of the county. This Academy was for many years the only institution of the kind in the county. Tuition in 1834 ranged from one to five dollars a quarter, and board from one dollar to one dollar and fifty cents per week, including room, washing, lights and fuel. Among the early teachers were Benjamin Shipman, James Lowrie, Charles Nash and Josiah Emery.—This house was enlarged, and in 1870 sold to the district for a public school building. The building originally cost $4,000, and $3,000 was received from the State. It has again changed owners, and is now deserted. Union Academy, in Deerfield township, was commenced in 1845 by subscription, but when about half finished the subscribers sold it to William Price, who completed it and built two boarding houses. In 1847 it was completed, and opened to students in 1848. Professor Goodwin was the first principal. It was under the management of S. B. Price, until sold to Elias Horton, Junior, about 1867 or 1868, under whose control it remained until the spring of 1871, when it was burned, and has never been rebuilt.—This old Academy did much good in our county, educated many good teachers and useful citizens. In 1848 Williamsburg (Tioga) Academy was incorporated and placed under the control of the following gentlemen: Benjamin Bentley, A. C. Bush, B. C. Wickham and William Willard, as trustees. This school has long ceased to exist, and its place is now filled with the graded school. February 15, 1833, the Mansfield Classical Seminary was organized, under the patronage of the East Genesee Methodist Episcopal Conference. Opened for school in January, 1837. J. R. Jacques, first principal. In April, 1857, the building was burned, and was rebuilt in 1859. Reverend ?. Landreth, first principal in new building. Professor E. Wildman succeeded him in 1860. In 18?? the seminary was organized into a State Normal School. In 1863 Professor F. A. Allen became principal. Professor J. D. Streit became principal in 1868, with Professor Verrill as acting principal. On the death of Professor Streit, Professor Verrill was made principal, and remained such until 1873, when Professor J. N. Frauenburg was elected. In 1873 Professor Verrill was again made principal, and was followed in 1877 by Professor F. A. Allen. In 1873 a new building was added. This school has sent out two hundred and fifty-six graduates, and to attend the Normal School is the ambition of nearly all our teachers. The Soldiers’ Orphan School was established at Mansfield in 1867 and has been under the management of Professor F. A. Allen, with Professor Vine Pratt as acting principal and Miss Amanda Simpson as matron. The average number enrolling each year is over two hundred. The first was organized in 18?? at Wellsboro, the second in 1857, at the same place, was a very enthusiastic gathering, one hundred and nineteen members being enrolled. Previous in 1857 two county associations were held. Two Institutes held each year from 1857 to 1865, but were not at all times well attended. In 18?? only twenty-eight were enrolled. In 1859, under Professor Horton’s management, the Institute was again placed among the living. It was held at Tioga, and one hundred and eighty-six members were enrolled. Instructors: Professor H. S. Jones, of Erie, Reverend N. L. Reynolds and Professor C. H. Verrill.—Twenty-two teachers went to this Institute in a lumber wagon from Union Academy, a distance of twenty-three miles. Institutes have increased in number and interest since that time, and for the last seven years have been held in Wellsboro, with one exception: 1871, when it was held in Mansfield. More teachers now attend than ???? needed to fill all of schools. Items from the StatisticalTables of 1877. There were 287 schools in the county last year, with 10,508 scholars enrolled. The average number attending school was 6,780. The average cost per month for each scholar was 98 cents. The total expenditures for maintaining the schools of this county were $73,809.84; and of this sum $41,470.61 were paid for teachers’ wages. There are 467 teachers in the county. The average salaries of teachers is $28.38 per month. This is $0.48 less than the average salaries paid throughout the State. The amount of receipts from school taxes and all other sources, except State appropriation was $9,764.55. The average amount of tax levied was 10.48 mills. Blossburg was the highest, having 26 mills, and Gaines the lowest – 3 mills. The tax in this borough was 15 mills. Delmar has 21 schools, a larger number than any other township in the county.—Charleston, Delmar, Wellsboro and Middlebury together have 62 schools out of 287 in the whole county. The average number of months taught was 6.32. The aggregate resources of all the school districts amount to $15,11?.91, while the liabilities took up the sum of $42,809.96.